The Natural Capital Project (NatCap) is a unique partnership between Stanford University, the Chinese Academy of Sciences, and the University of Minnesota. Working closely with leading NGOs such as The Nature Conservancy and World Wildlife Fund, the project aims to integrate the value of ecosystem services to humans into decision making. In doing so, the project’s ultimate aim is to improve the health of both humans and the environment through 1) greater action and 2) better targeted action. Every year, NatCap runs a symposium. This 4-day meeting brings together leaders from across the world to advance the science and practice of integrating the value of nature into decision making. Dr Matthew Burns and Prof Tim Fletcher from the School of Ecosystem and Forest Sciences were invited to attend the symposium, and importantly, asked to contribute to the development of new NatCap software tools. The UoM researchers presented their work on climate change adaptation with the City of Melbourne at a workshop which aimed to further develop Urban InVEST. Urban InVEST is a software that provides tools to show how integrating the value of nature into urban design can deliver better outcomes for the environment and humans. 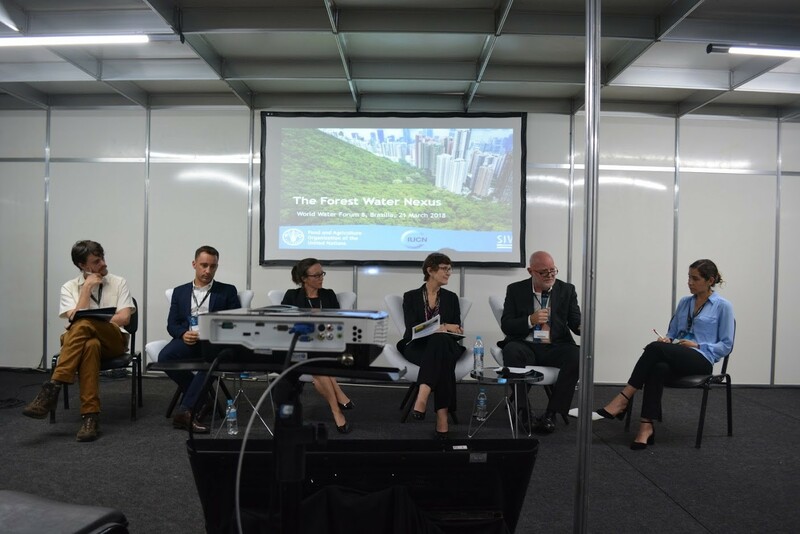 In Brazil, current Yale Fox Fellow Ana Elisa Lambert (pictured below in her panel event) had the opportunity to attend and present at the 8th World Water Forum. Ana and Dr. Ruth Beilin’s research, 'Reading the Flows: A case of social ecological adaptation on the Merri River in southwest Victoria, Australia' was presented as part of a research presentation series organized by the Water Youth Network. In addition, Ana had the honor to be invited to participate in a panel at IUCN’s 'The Forest-Water Nexus: redefining the narrative to build a sustainable future' event. She presented along representatives from GEF, UNEP, and WRI, and touched on topics such as nonlinear outcomes and systems thinking.